Every Saturday, besides washing the house floors, doing laundry or simply faire le ménage (doing housework), my mum used to bake a cake. It was a habit of hers. She did not necessarily vary what cake to bake too much, but did we really care? Not really. We were only eight or nine years old, and all that mattered was the buzz word gâteau (cake). She was a master at baking a marbled cake, un marbré. While she prepared the chocolate and vanilla batters in separate bowls, she knew that she would also be annoyed by mon frère B. and moi until she gave in. We would never let go. To the “Maman allez, laisses-en plus dedans !” (come on mum, leave some more! 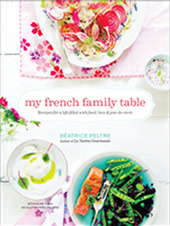 ), mum would answer “Je vous préviens, vous allez avoir mal au ventre!” (I warn you, you will have a sore stomach!). What did we want? Quite simple: lick the bowls full of uncooked batter! I was always getting the chocolate, my brother the vanilla. We baked marbré au chocolat et à la vanille (Chocolate Vanilla Marbled Cake) so often that I literally knew the recipe by heart by the age of eight or so. In fact, it was not only one cake we baked but two as we always doubled the ingredients. I thought to follow the marbled cake basic recipe that I know so well but instead of the traditional chocolate and vanilla flavors, I went for white chocolate and matcha tea. It really worked well. Different. Nice with a cup of tea. We can always reinvent tradition with new ideas. Note: I just saw today that Sigrid posted a similar recipe, which reminded me of this post prepared before Christmas. I love the look of her cake! What a small world! Place the chocolate in a bowl over a pot of simmering water and let simmer until the chocolate is melted. In the bowl of a stand mixer, place the eggs with the sugar and beat until it is white in color, then remove. Sift the flour with the baking powder and add it to the egg/sugar preparation, mixing manually with a whisk. Then add the salt and butter and mix. Grease a rectangular cake pan and add half of the chocolate batter. Continue with the matcha tea batter and finish with the other half of the chocolate batter. Take a fork and pass it through the different layers of batter. Cook your cake for 50 mns, or until the blade of a knife comes out dry when inserted in the cake. Remove from the oven and let cool for a few mns before unmolding. Dans le bol d’un mixeur, mettez les oeufs avec le sucre et battez jusqu’à ce que le mélange blanchisse. Tamisez la farine avec la levure et ajoutez cette préparation sèche au mélange sucre/oeufs. Mélangez avec un fouet, à la main. Ajoutez la pincée de sel et le beurre. Mélangez. Divisez votre préparation en deux dans deux bols séparés, 2/3 et 1/3. Ajoutez le chocolat fondu au premier 2/3 et la poudre de thé matcha au bol contenant 1/3. Beurrez un moule à cake rectangulaire et versez la moitié de la préparation au chocolat blanc. Continuez avec la préparation au thé matcha et finissez par le reste de préparation au chocolat. Passez une fourchette dans le gâteau pour faire un dessin. Mettez au four pendant environ 50 mns, ou jusqu’à ce que la pointe d’un couteau ressorte sèche. Sortez du four et laissez reposer pendant quelques minutes avant de démouler. Remarque : Je viens juste de voir aujourd’hui que Sigrid a publié une recette similaire, ce qui m’a rappelé ce billet préparé juste avant Noël. J’adore le look de son gâteau. Quel petit monde ! This is THE recipe for me… I’m a white chocolate lover – to the bones! 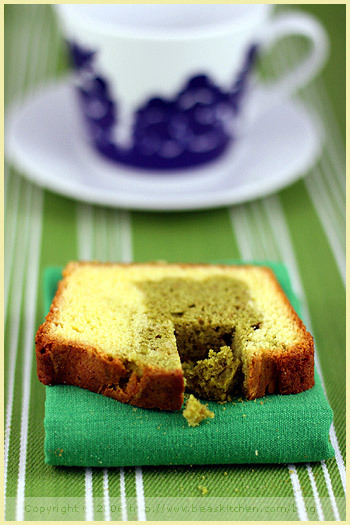 I’m unable to find Matcha Tea in my town;( your cake is so beautiful & seems so delicious. Pingback: Cocoa Cook » Blog Archive » You will also (all clad stainless steel cookware) be able to find molded cho…. Like Leonine19, I am unable to find matcha in my town, but I have a similar recipe I am just itching to try! I made green tea muffins a few days ago and they were wonderful. Your cake looks lovely, Bea. Those colors are amazing, Bea! I’ve actually never tasted Matcha – just ogled all the gorgeous green desserts around the blogosphere. One of these days I’m really going to have to track some down! Pingback: Bake With Chocolate » Similar (chicago cooking classes) to the fountains that many displ…. in many old (american) cookbooks it’s molasses insted of chocolate. I love routines like this and making a cake every Saturday sounds like the best routine ever! I still want to lick the bowl too, but I have to fight off my own rugrats for that now, hehe. This is the first time I have seen something that motivates me to try the matcha tea. So who doesn’t still lick the bowl…some maybe better to lick than others but I still want to lick the bowl! Yes, you can reinvent tradition but tradition can always be returned to also! Bea, your creative mind is amasing! But it’s only me, for dessert always prefer something fat + fat (like chocolate + vanilla or whatever fatty). Oh my, so beautiful! I have dreamed of the combination of white chocolate and matcha for some times, and your recipe is an inspiration! you are the master of matcha!! beautiful, Bea! You better be careful Bea, if you keep posting such amazing recipes I just might have to steal them all! J’hallucine !! encore du matcha , très réussi aussi comme chez Sigrid, et moi qui trouvait qu’il n’y avair plus trop de matcha et un de mes prochains articles est aussi sur un cake matcha heureusement il n’est pas bicolore!On pourrait penser que j’ai copié !!hihi! Amazing to hear that you knew the recipe when you were 8 by your heart. 🙂 You are gifted! The sweetness from the white chocolate and bitterness from the Matcha is a marvelous balance. A beautiful marbre to start the week end! I love this recipe; it sounds wonderful and delicious with The Matcha and white chocolate! Plus que séduisant, ce cake ! Tout ce vert m’hypnotise… j’adore cette couleur et tes sublimes photos sont de vraies bulles de calme ! Bravo , comme toujours !!! Thank you all for your comments. I hope you enjoy the cake! If I cant find matcha – what can one use instead? this cake looks sooooo good! 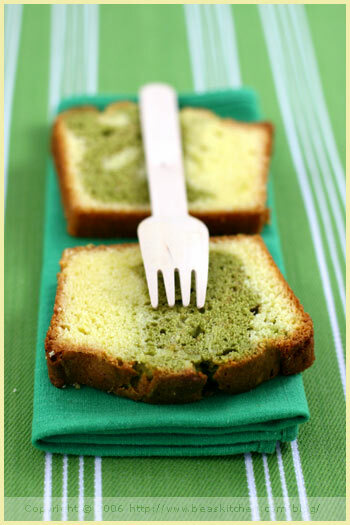 Love the bright green colours of your marble cake! Such a fun alternative to the usual brown&yellow one! Je découvre ton site que je trouve super, je note cette recette au matcha, qui me tente beaucoup ! I was inspired to make this last night, but unfortunately realized too late that I need to use a mini-loaf pan, and not the regular sized ones!!! I ended up with Marbled Biscotti…hahahaha! Hello Béa, I made this cake last night and it was delicious! The aroma of the white chocolate is very subtle and I would consider melting some on top of teh cake… That should be really yummy. Thanks for this great recipe! je suis super contente que le gateau vous ait plu! Tres bonne idee Estelle, d’ailleurs, le glacage au chocolat dessus! A faire! Merci! Mathilde, if you cannot find Matcha, try fresh fruit puree of some sort, a color and flavor you like, why not? I am SOO impressed by this entry. I love green tea, especially when its infused into chocolate! i love that your blog is bi-lingual that way i can brush up on my french while reading your blog! your photos are amazing too! Thanks once again for this wonderful recipe Bea! It sure won’t be the last time that I’m gonna make it! can you post or email me , your maman’s traditional marble cake recipe? Je viens de le réaliser et c’est un vrai bonheur !!!! Je l’ai fait ce week end et il est excellent, et très beau ! Merci pour cette recette ! Thanks for such a wonderful recipe! I’ve made it for the CNY but maybe I’ve overbake it. It’s a bit on the dry side. Nevertheless, it’s still nice. Will be making it again. I agree with Delia – I’ve made this twice and for some reason mine was a bit on the dry side also. I’ve tried cake flour and that helped just a little bit. Is it possible that I’m overmixing? 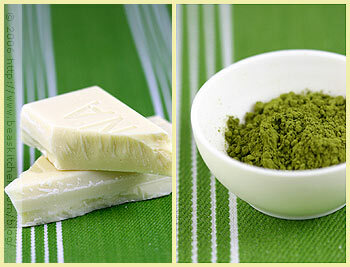 How do you add the matcha green & white chocolate to the batters without overmixing? Thank you! Thanks for your note. Let me ask you. Do you typically weigh your ingredients or use cups? I tend to think that with cups, the amounts vary, and are not as precise. If you can weigh, I would do that first. Also, one other way to look at it is also to add a little milk in the batter, like 1/4 cup milk. Let me know whether this helps. Good luck, and thanks a lot for your feedback. I will try the recipe again myself and let you know, I have not made the cake for a while to be able to remember well the texture. Bea, I made this cake today with a friend (I brought the white chocolate and she brought the matcha!). It was absolutely delicious, though I watched it so carefully to make sure I didn’t overbake it and dry it out that I pulled it out of the oven prematurely. Even though the knife blade had come out clean, it was still a bit gooey in the middle. Fortunately it wasn’t for a special event and we have all still been slicing into it. I can’t wait to try it again! thanks for the recipe. you have a beautiful site. Thank you so much for this recipe! I’ve been dying to do some baking with matcha powder and your recipe was the first I tried when I went to a last viewing session of a Twin Peaks Marathon. The experiment succeeded very well indeed! I posted about it in my blog (which is unfortunately in Dutch), and linked to your site. What a beautiful website that you have. I found this lovely recipe while I was searing for marble pound cakes to make for an upcoming cookie exchange. I have a toy train cake pan from Williams-Sonoma that I am going to try with this recipe. I was also thinking of swirling in raspberry to make a white chocolate, matcha and raspberry pound cake. When the cakes come out of the pan they will reflect the appearance of the swirl, as the cake will have browned on the bottom as opposed to the top. Do you have any suggestions for how to prepare a raspberry type of filling or shall I use jelly? Thank you so much. This looks amazing! 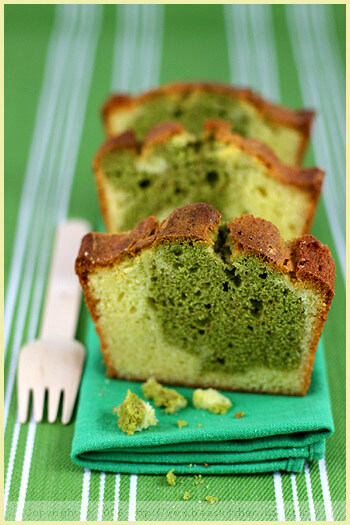 I am obsessed with baking with matcha right now, and I need to make this! But I don’t have a a weight; do you know how many cups of flour I need to make this? thanks! Béa, I have just made this and it was magnificent! Thank you for posting this. Please let us know what you think. Thank you! J’ai fait cette recette aujourd’hui et le gateau est tres bon! Looks fantastic! What pan size did you use for this recipe? Coming back around to this recipe after enjoying it with a friend in March ’08…she requested it for her visit this coming weekend, and I was happy to say yes! 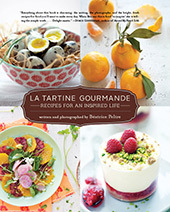 Thanks for sharing so many delicious recipes. Bea, this recipe has become one of my favourite Sunday baking sessions. I adapted it back into classic marbré, with dark chocolate in the center and vanilla base for the rest. And I bake with glutenfree flours, but for some reason with your proportions (I guess the butter helps!) the cake is always so mellow and spongy. We love it! Hi Bea, what is the oven temperature to bake this cake is i’m using a bundt pan? Thank you! Hi Atin, the type of mold does not make the temp change. You may want to increase the cooking time though, so check more regularly. Often the shape of the mold determines how much longer or shorter the cooking time needs to be. Good luck with it! Hi Julia, there’s definitely the taste of matcha green tea coming through. Je vais le refaire cet après midi sous forme de muffins, j’hésite entre le zébrer (choco, matcha, choco, matcha…) ou le même dressage que ici ! Mais un vrai régal pour moi qui suis fan de desserts au matcha !!! !